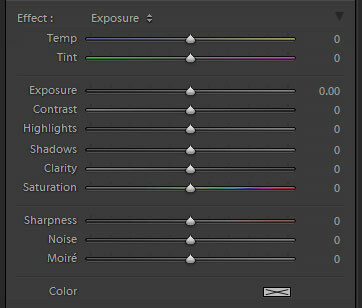 Adobe has released Photoshop Lightroom 4 Beta, the next release in the Adobe Photoshop Lightroom product line. Traditionally, Adobe releases LR betas shortly (some number of months) before the actual product release in an effort to allow users to test-drive the new features and provide feedback and bug reports. The Adobe LR4 forum is indeed hopping with activity since the release — and like most Adobe forums, it quickly turned into an embarrassing mess of users and Adobe team members (and the occasional “community expert”) flaming and insulting one-another, accomplishing absolutely nothing. I’ve taken the past few weeks and have dug into the LR4 beta myself. I conclude that, once again, Adobe has really “missed the mark” on understanding what their professional users need or desire in Digital Asset Management software — or perhaps, on a more grand scale, they have diverged from the basic principles which (we thought) were driving the LR project in the first place. Back to the Basics – What Should LR Be? LR should provide world-class Digital Asset Management (DAM). Users new to LR often ask me where LR “fits” into a digital workflow, and my answer is always the same. LR is DAM. Organization, keywording, bulk operations (including backup, export and format conversion) — everything outside of real photo editing. Photoshop (or equivalent) is your photo editor, LR is your digital asset management software. The latest versions or LR even venture into some basic provisions for video asset management as well, but those features are still very muddled and incomplete — more on that later. At its core, though, LR should provide what you need to manage (not edit, but manage) your images. …changing some core development behavior and introducing a brief learning curve to adjust from the old Fill Light and Recovery sliders to the new Highlights and Shadows, but the results show it’s worth the adjustment time. I’m eternally glad to see and end to Brightness and corresponding re-ordering of the panel to follow a true top-to-bottom development workflow. All the basic settings above have also been re-normalized to be “zeroed” out of the box. While still being hotly debated on the LR4 forums, this change may (or may not?) help users understand where the baseline for their image is, and provides a clear starting point. Correspondingly, what has been made un-clear by this change is what settings actually result in a flat raw image. It will be interesting to see where these adjustments are baselined in the final release. Am I Dreaming? Finally… FINALLY?! Soft Proofing? Only slightly-less monumental than the image quality enhancements from PV2012, LR4 brings the single feature that users (myself included) have offered to beg, borrow and steal for since LR1: Soft Proofing. LR4’s soft proofing still leaves something to be desired (CMYK profiles, for example), but the monitor and output gamat warnings are just what the doctor ordered, and will save HOURS — I honestly mean HOURS of time vs. round-tripping images to PS. 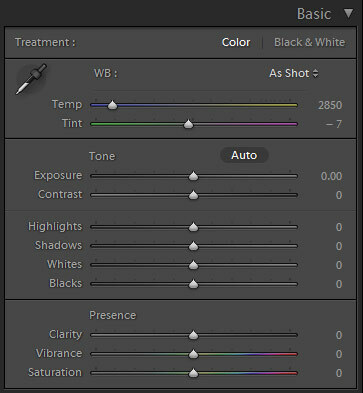 Perhaps most powerful are the new WB (Temp and Tint) adjustments — allowing users to brush- (or gradient-) in color corrections. Localized Highlights/Shadows are a welcome addition as well. I’d still love to see even more, but this is clearly a move in the right direction. Hotly contested by some in the LR4 forums, the Map module is, in my opinion, a welcome addition. Remembering that LR is, above all, a DAM tool — location data for images is, indeed, something that a DAM strategy should address. LR4 allows bulk updating of location data for images, visual mapping of images and (most exciting of all, in my opinion), users to synchronize-by-time GPS track files to a group of images. The Book module is another story altogether. I’m not at all clear on the purpose of having a book module inside the LR interface, other than a weak attempt to feature-match Apple’s Aperture and their bundled print products. Printing books certainly is not part of any DAM strategy I have heard of. The first (and currently only) vendor supporting LR’s Book module is Blurb. Which is curious, since Blurb already produces a series of much more feature-rich options to use for book creation and editing. Certainly integrating Blurb book creation software in LR would come with some awesome, workflow-enhancing benefit, right? Ah-ha! Of course! Softproofing! Now that LR finally has softproofing, we could use a profile from Blurb to— wait, what? 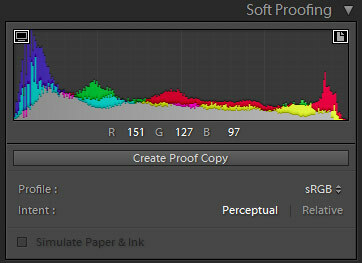 Blurb only releases CMYK profiles and LR only supports RGB profiles? Well… that’s… completely useless, isn’t it? Maybe Adobe will solve this quandry (which has provided quite the flame-fodder in the online discussion forums), or (more likely) any solution to this will remain vapor-ware. Making photo books is not Digital Asset Management. It belongs in a separate place, outside of LR-core — and only “in the face” of users who actually want to use such a service. A plugin? Maybe. Completely separate software? Definitely. Part of LR-core? Never. Reported by a handful of users in the forums, some combination of “something” (what that something actually is remains unclear) makes the video features in LR4 entirely unusable. I, of course, happen to have that magic combination of “something” on my workstation, and I cannot use LR4 for managing video assets at all. Zero. Zilch. None. I hope/expect this may be addressed in the final release (or even a Beta-2, if they release such a beast), but for now, I have no way to test the new video features in LR4 whatsoever. Just like soft proofing, which was finally addressed with LR4, professional users have been BEGGING Adobe for improvements to the metatdata and keywording interface in LR. Amazing, we still remain unanswered with LR4. In fact, there have been virtually no appreciable improvements (in fact, there have been many more bugs introduced and subsequently fixed) to the metadata or keywording interfaces in LR since LR version 1. Aftermarket plugins continue to provide some relief, but as the nature of any plugin, it’s simply not as fluid or integrated as core. Adobe only needs to look at the growing number of metadata editing plugins on the market today to see what users are clamoring for — why not incorporate some of that functionality into the core product? At the base of any world-class DAM solution is a clear and robust keywording engine, and tools to maintain and manipulate metadata. Adobe desperately needs to step up. Drop the fluff, concentrate on improving the core. Will LR Get Back on Track? Ever major release cycle for LR has been like a game of Texas Hold ‘Em. The Flop (beta) sends the community into a tizzy of speculation, accusations, assumptions and betting on the next-big-thing. The Turn (release) forces those who want to stay in the game to put their money where their mouths are — buy into the new major release cycle or stay behind and risk being the short-stack. The River (update to fix everything broken in the release) will decide who wins or looses. But honestly, I don’t think we’ve seen any real winners since LR2, where the introduction of localized adjustments were the pocket aces. Will Adobe get LR back on track? Probably not anytime soon. As with previous major revisions, Adobe claims to listen to user community, but clearly has their own agenda for what features or enhancements are introduced — and their motivation appear to be competition with other products on the market, not to provide world-class DAM. That’s very unfortunate, because this will continue to force users to adapt their workflow to their tools — rather than adapting their tools to their workflow. The latter is the way things should be, the former remains the status quo. * Misc bug fixes (see Adobe links for details). * Numerous new lens profile support included. * Numerous bug fixes (see Adobe links for details). This is a bugfix release — it addresses two rare instances where JPG files can have metadata issues and color rendering issues, as discussed on the Adobe LR blog. UPDATE: As of May 25, 2011, the 2.4 update has been pulled due to a bug managing JPG images. LR 2.4.1 is available as a bugfix release.